Once again it is time for the ECD Designer Challenge. The challenge this month is to use Joset’s Blackboard Alphabet and/or Blackboard Numbers die sets. The question for the $20.00 giveaway this month is What Elizabeth Craft Designs die or stamp set would you use the Blackboard Alphabet or Blackboard Numbers die sets. Be sure to visit Elizabeth Craft Designs Blog at this link to see all the creations our Design Team have created using these dies and to enter for a chance to win. Step 1 Create card base 5″ X 7″. Step 3 Mask around square opening then stipple inside the square with colors that match your paper. Step 4 Die cut 2 mugs using Joset’s new Summer Drink die set and clear cardstock . mylar with Clear Double Sided Adhesive on back. Die cut umbrella, orange slices, straw and ice cubes from white Soft Finish Cardstock color with markers. Step 5 Using Joset’s Blackboard Alphabet and Blackboard Numbers cut twice HAPPY and 60th from black cardstock with Clear Double Sided Adhesive on back. Stack letters and numbers then adhere inside square opening. Step 6 Using an orange alcohol marker color top mug about 3/4 of way to top. Add ice cubes and orange slices to back of top mug. Adhere top mug to bottom mug ( add a bit of Clear Double Sided Adhesive to back of orange slices and ice cubes). Add umbrella and straw done through the mug top opening. Adhere mug to left side of card front. Add half orange slice and pop 1 full orange slice. I do hope you have enjoyed my tutorial today and it has inspired you. 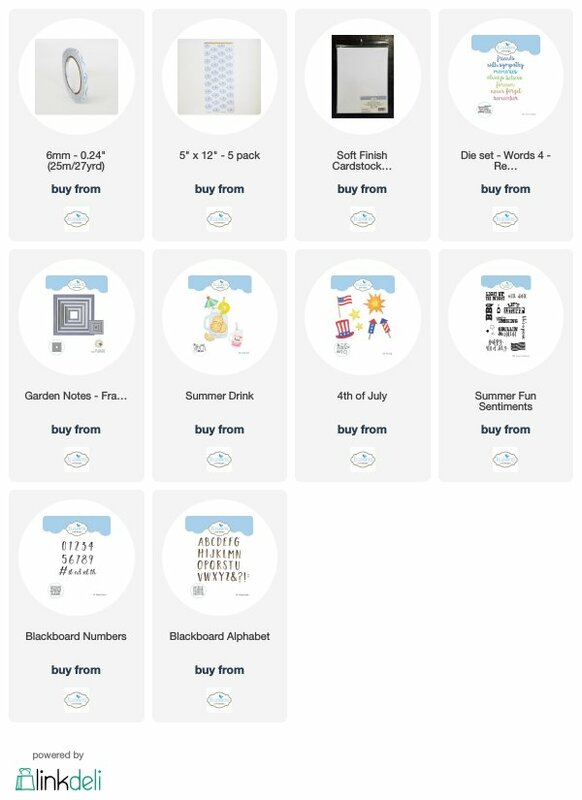 For any of the Elizabeth Craft Designs supplies used today just click on picture it will take you directly to their site. Don’t for get to visit their blog to check out what the other designers have done and to enter for a change to win $20.00 giveaway.